Getting your business involved in multiple Internet marketing activities is already a good step forward, but understanding how to optimize your dollars spent, is the real key to success! The efficiency of a well-built Online Marketing Strategy will enable you to maximize and monetize your online expenditure. The core issue is to know how to deploy those activities in a manner that will be fully integrated to your overall Marketing Strategy, while moreover ensuring your strategy is developed to achieve your goals. Whilst drafting your digital strategy, your sales and communication objectives along with your target audience should be your primary focus. Defining your objectives are often the hardest to set in stone, but understanding your customer’s behavior online is an even greater challenge. 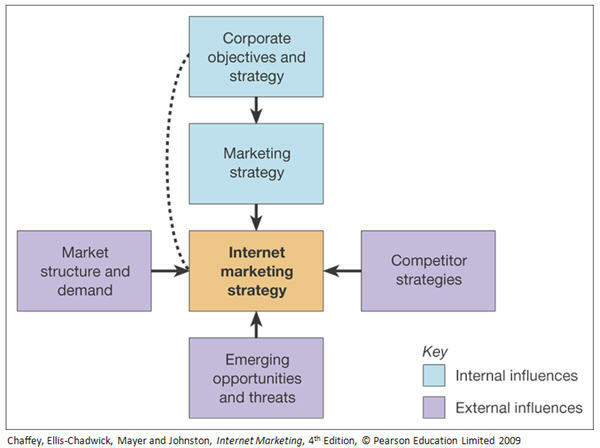 Based on the above, you need to ensure your offline and online marketing strategies are well integrated together. This will enable you to maximize your visibility, further the brand engagement, and in turn, learn who your customers really are. From this point forward, you will be able to aim at a measurable ROI.